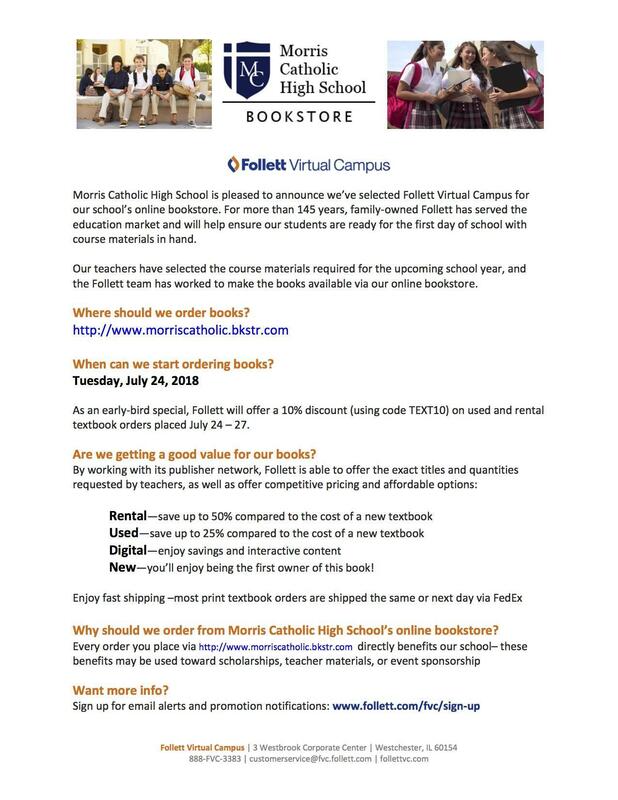 Morris Catholic has an online bookstore for your convenience. The online bookstore will be active from July 24, 2018. All required items can be found on the booklist below. Please note some changes have been made and are indicated in green.